with a large stream coursing through. It’s flanked by wooded areas and open wooded areas further out. 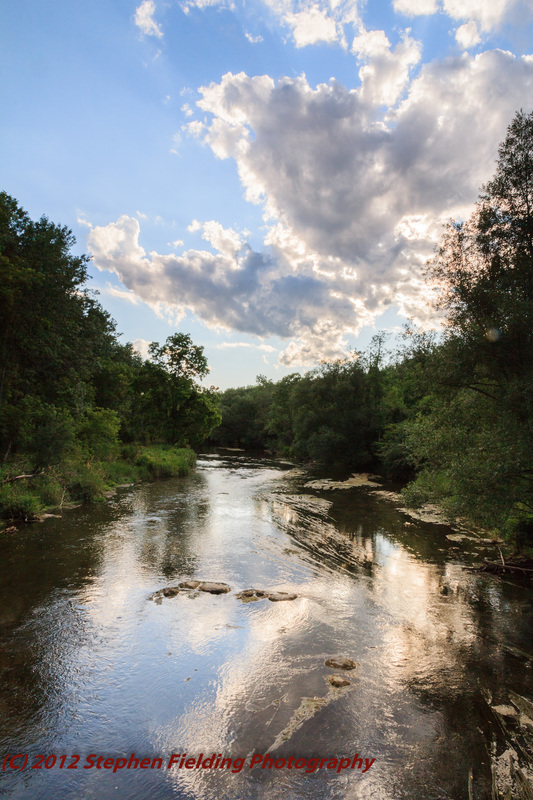 The following photo shows the stream in the late afternoon this past July. This is a favorite spot of fly fishermen who can easily stand mid-stream with waders. 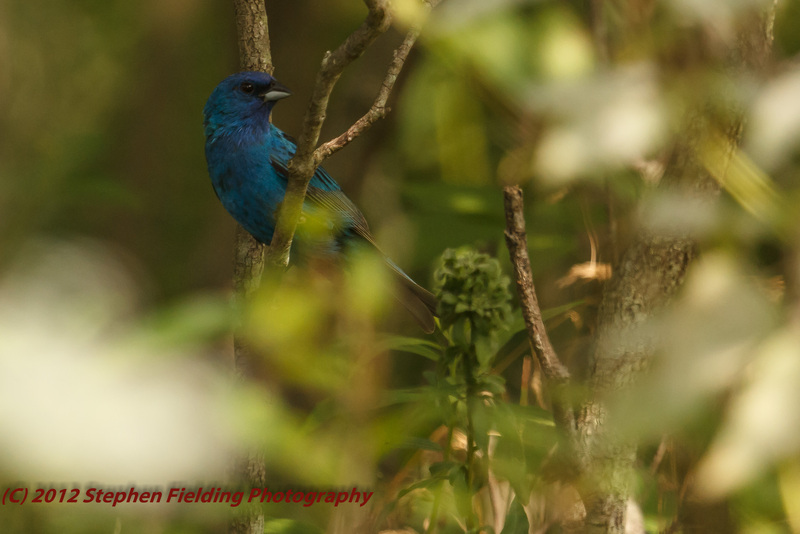 One of my goals this season has been to photograph an Indigo Bunting. However, since their population is on the decline they are less likely to be spotted by us non-expert birders. Our more expert colleague, Jim Adams, sees far more varieties than my wife and I, since we don’t always know exactly where to look (you’ll find the link to Jim Adam’s site on my sidebar). 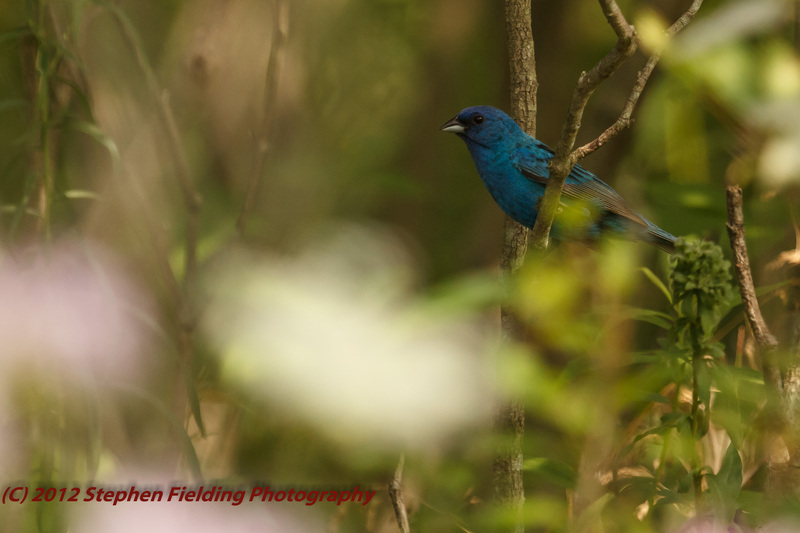 In any event, my wife spotted a male Indigo Bunting in thick bush in the open woodland area (exactly where you would expect to find them). I maneuvered for a clear shot and managed the following the images in low light. Here he is looking one way, and then, with his head turned. Needless to say, I’m quite happy with the shots, but I want to get one of these birds in an action shot. 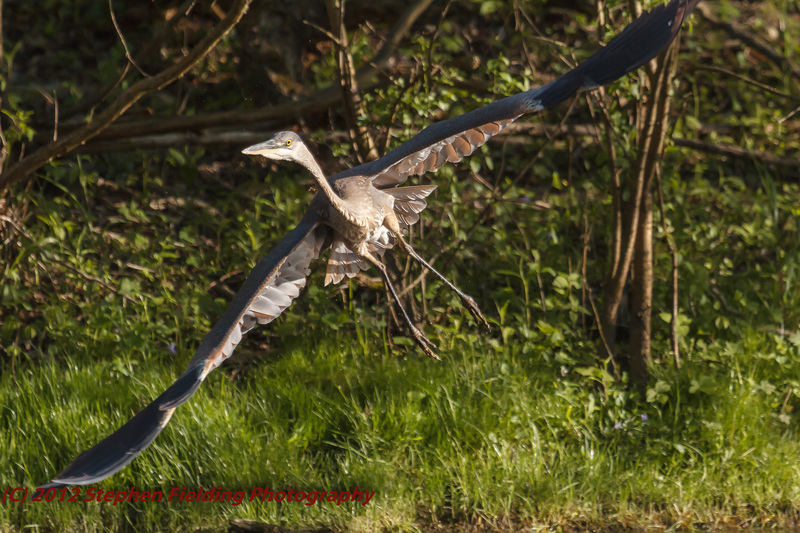 However, one of my most spectacular shots is of a juvenile Great Blue Heron that allowed us to get close enough for a whole series of shots with the 100-400mm lens at 400mm. Here he is taking off. It was late in the day, note how the light strikes his under-belly. I printed a 13 X 19 of this shot for mounting and possible submission to a local photo contest. Please let me know if you have any tips for increasing the likelihood of locating these Indigo Buntings.